Something that I like to do at the end of the year is to run a personal and professional SWOT analysis on myself. It appears to work because there is no reason in the world I should have the job I have with the education level that I have. If you haven't noticed with my articles this year I am all about finding the weaknesses in a system and improving them. This year I decided to run one on my overall shooting skills and performance over the year. So not only am I doing it, I’m going to lay it all out in this article for the world to see. I can’t wait for the keyboard commandos to have fun with this article. Now a lot of you are saying what is a SWOT analysis? Good question. According to Wikipedia a SWOT analysis (or SWOT matrix) is a strategic planning technique used to help a person or organization identify strengths, weaknesses, opportunities, and threats related to business competition or project planning. It is intended to specify the objectives of the business venture or project and identify the internal and external factors that are favorable and unfavorable to achieving those objectives. Users of a SWOT analysis often ask and answer questions to generate meaningful information for each category to make the tool useful and identify their competitive advantage. SWOT has been described as the tried-and-true tool of strategic analysis. · Strengths: characteristics of the business or project that give it an advantage over others. · Weaknesses: characteristics of the business that place the business or project at a disadvantage relative to others. · Opportunities: elements in the environment that the business or project could exploit to its advantage. · Threats: elements in the environment that could cause trouble for the business or project. Now I know that sounds complicated but it is actually really simple. A SWOT analysis is nothing more than a stone cold look at what you are doing right, what you are doing wrong, a plan to improve your weaknesses and a plan to avoid as many pitfalls as possible. Simple right? Lets see. This year I have put conservatively 5,000+ rounds of 9mm alone down range. This was largely due to the fact I got my CCW last year and wanted to be more proficient with my carry gun(s). Yes I have 3 or 4 different guns in my carry rotation. Different sizes and different brands. What can I say I try to be a true student of weapons craft and not just having 1 gun with enhancements on it that I run for everything. Before anybody says well why practice so much after you get your CCW and not before. I shot about 3,000 rounds of 9mm the year before so just go pound on your keyboard. The proof I have that I have become more proficient with my carry gun is I have shaved full second off of my F.A.S.T. time, can clear the dot drill at 3 and 5 yards now and go 8 for 10 at 5 yards on the 10 penny drill. Not bad but always room for improvement. I also hit a personal milestone this year with taking training classes. As of my carbine class in September I now have over 100 hours of firearms training not counting my ccw course. Why don’t I count my ccw course? That’s because the CCW class is not firearms training as much as it’s a class on the legal use of a firearm in this state. What are my weaknesses when it comes to shooting? Well to answer that I look at the 2 gun matches I went to down in Sparta, IL this year at the World shooting and recreation complex. 1st match I was on. Finishing 3rd on the day of the match and 17th overall. Not bad for a 1st time at a new style of match. Then we go to the 2nd match. I finished the 1st day in 17th place, yes something was different and I’ll get to that in a minute, and ended up finishing 22nd overall. So what changed from match 1 to match 2? Match 1 was shot primarily from the standing position with very little if any kneeling or prone. Match 2 was about 75% positional shooting. The stages that were mainly standing I was in the top 3 of the stage in my squad for the day but the rest of the stages I struggled with. Another weakness is that all of my firearms training has come from only 1 company. Now do not get me wrong the company I train with, http://www.poifirearmtraining.com/ , is great and I will tell anybody they should take a class with them but too much training with the same people and in the system can lead to groupthink. Think of it as an MMA fighter who is an expert boxer but no ground game. As long as the boxer can keep anybody with Brazilian jiu-jitsu experience on their feet at arms reach and not let the BJJ guy get a hold of them they have a chance but if they go to the ground snap crackle pop it’s over. 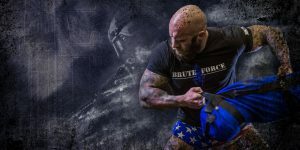 If you were at the Charleston Gunsavelife.com meeting in October you probably remember Mark Briggs with Brute Force, https://bruteforcetraining.com/ , talking. I have known Mark for years and after the meeting we got to talking about functional fitness. I have been in and out of the weight room since high school but that was all Olympic style lifting. 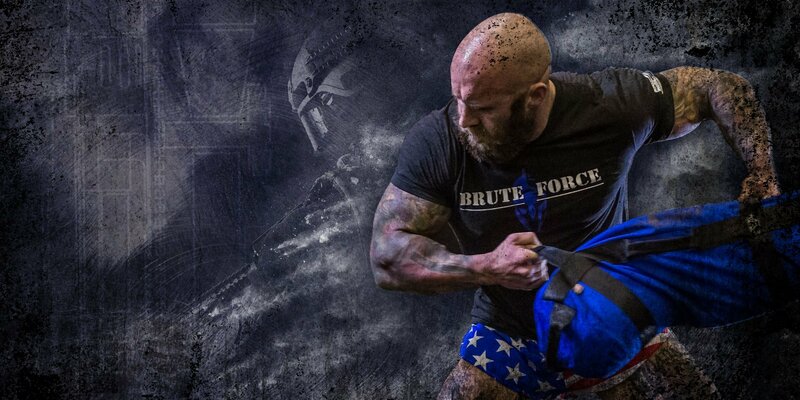 What Brute force offers is more functional fitness. So over the next year I will be working with Mark on improving my functional fitness. This should not only help with my cardio but with my positional shooting as well as I regain some of the mobility I have lost. Mark has already informed me that I will hate him for the first few workouts. I informed Mark I have a large stockpile of F-bombs that I'm not afraid to go fully semi-automatic with, who am I kidding its going to probably be a belt fed full auto. At the recommendation of the Lead Instructor from Point Of Impact I have been in contact with 2 different companies, Adamax Tactical Academy and MHF Enterprises Shooting Academy about going through some of their training programs over the next year. The 1st threat that comes to mind isn’t just to me but it’s to all shooters in this state, Springfield. I don’t have to tell you guys we face an uphill battle for at least the next 2 years. I would not be surprised if by February we already have new anti gun legislation working against us. There really isn’t anything stopping our “friends” from upstate from running the state into the ground and throwing a party to celebrate it with the tax payer’s dollars. So I’d encourage everyone to join one of the state gun rights groups, if it’s not GSL then IL-NRA. We need all the help we can get right now. Shoutout to the Facebook group IGOT, Illinois Gun Owners Together. They have been making a lot of noise at the state level. So keep up the good work guys. So there it is my personal SWOT analysis. Yes I know my threat isn’t directly a personal one but it is something that can derail my plans to improve as a shooter. So what’s your SWOT analysis? Where can you improve as a shooter? Post it in the comments below or on the GSL Facebook page. Enjoy the holidays. If anybody is asking I could use 1,000 rounds of 9mm Fiocchi, 1,000 rounds 223 55gr Fiocchi, and 1,000 rounds 308 147gr PMC bronze under the tree this year. This entry was posted on November 17, 2018 at 9:32 pm and is filed under Blog. You can follow any responses to this entry through the RSS 2.0 feed.